Arnold Walz and Axel Kilian discuss how digital computing and script writing have affected their respective work as architects. 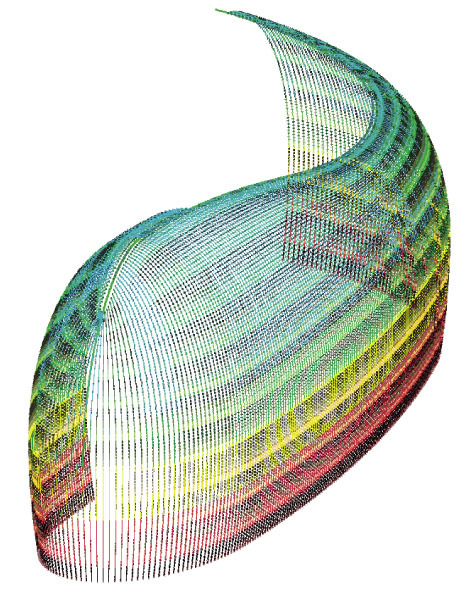 Walz looks back on the legacy his teacher, planning theorist Horst Rittel, in how he constructs digital parametric models for the resolution of complex building geometries. Kilian outlines his concept of design exploration as a method to externalize a project’s key constraints in the process of form finding. Both agree that the knowledge attained through the realization of complex building geometries since the 1990s must now be applied to architecture in general. Parametric model, P&C Department Store, Cologne, 2005.